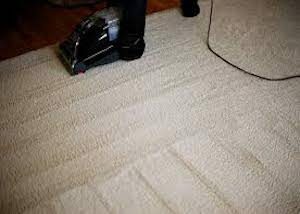 When requesting carpets to be cleaned, you will be asked how many “areas” are to be cleaned. It is good to know that an area can be different to a rooms. When calculating the amount to be cleaned, this is a rough guide to areas. This can vary from business to business. At Really Cheap Carpet Cleaning in Brisbane, this is a basic guide as to how we judge how to fairly charge for carpet cleaning services. Combined Lounge/Dining = Generally a unit/apartment is considered 1 area, a house is considered 2 areas. This can vary. If you’re not sure if a particular area in your house that is carpeted falls under this guide, it’s always good to ask. When it comes to combined/open plan areas, whether you will be charged for one or two areas is dependant on size. A small unit with a combined lounge/dining area the size of a regular house’s lounge room wouldn’t be charged as 2 areas. We hope this guide has been helpful to you. The next time you need to book in for carpet cleaning you should be confident in what to answer when asked.